Asking for the Gift of College Savings…Awkward or Okay? You value saving for college, but asking family and friends to help out (in lieu of buying your child more toys) might feel awkward. 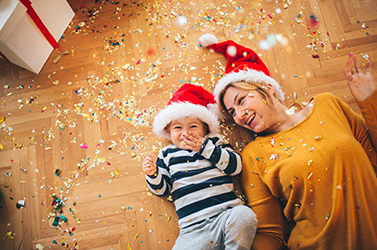 This holiday season, use the following strategies to encourage gifting to your child’s 529 account without feeling like you may be rubbing people the wrong way. Statistics show that if you want to achieve a goal you should: write it down, say it, and tell your support system about it. We agree, and higher education is definitely a big goal! Family and friends want to give you and your children gifts that you’ll value, so make sure they know how important saving for college is to you. Involve your kids, too. Get them excited about college by talking to them about what it means, what they will do there and what types of things they could learn. Talk about your own experience. If you did not attend, but wished that you had, discuss what you think your child will gain by going. Perhaps the best way to get them excited about receiving college savings as a gift is by having them contribute a bit of their own money to a savings jar where they can watch their dollars add up. When your kids are excited about the goal they will tell your family members about it and share their excitement about saving money for it. Gift–givers are often pleasantly surprised to find that your child knows what the account is for and is jazzed to have others contribute to it. Encourage others by doing. Make this your go-to gift for special occasions like birthdays, Christmas, or graduations. Ask parents if they have a 529 college savings account that you can contribute to—and then do it. You’ll be amazed at how grateful parents are for the very thoughtful gift of college savings. By doing this you are encouraging others to pay it forward and you are showing that it is actually a really great gift (and far from tacky)! If they don’t have an account, it gives you the opportunity to talk up how much you like yours and truly appreciate gifts to it. You can also lead by example whenever family or friends send a check or cash for birthdays and celebrations. Let your loved ones know that a portion of any monetary gift will be saved in your child’s 529 account. It can be awkward at first to ask that your family and friends forego traditional gifts and give college savings instead, but the small discomfort can be so worth it! (Be sure to include the gift code and web links or printed vouchers to make it simple for the gifter). 3. An experience, like ice skating. Following up is the most important step. 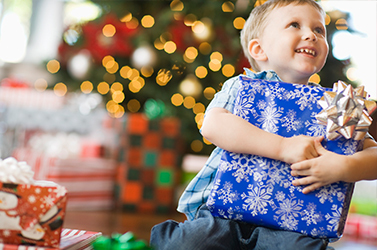 Be sure to send a personalized thank-you when people gift to your child’s 529. Handwritten notes are especially prized, but any type of thank-you note gives you the opportunity to express your gratitude and to explain how important the gift is to your long-term education goals. If they can write or draw, include their thank-you note with yours. Host a video-call or send a video for kids who aren’t big enough to write a thank-you just yet. Take a picture of your child with the money or the check and a big smile. These types of personalized responses send the message that your gift was appreciated and that your child was indeed excited about it. Many times family members just want to see your child’s face light up. This is a great reminder that other things besides toys can make that happen! 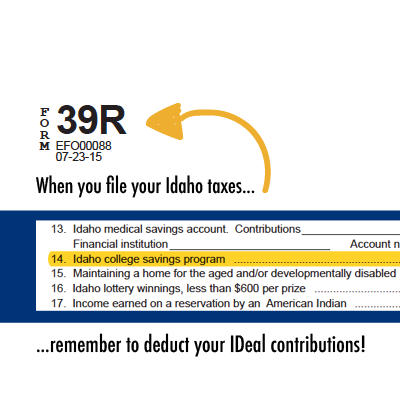 In Idaho, any resident who contributes to an IDeal—Idaho 529 College Savings account qualifies for a state tax deduction—regardless of whether they own the account. If your gift-giver can benefit from the state tax deduction, make sure to remind them in January about the gifts that they made in the previous calendar year. Make sure to include any proof you have of their gift. You can do this by logging into your account and printing off your gift summary. Provide them with any other information they might need, such as the deduction limits. And it never hurts to include another personalized thank-you at this point. In the end, the person gifting will have to decide that they, too, value college savings. They may not choose to contribute right away, but each time you remind them, the more likely they will be to contribute in the future in lieu of another toy. You can then look forward to someday thanking everyone for helping to make the goal of sending your child to college a reality at your child’s graduation party!